guys, i’m addicted to the bachelor. | six words to change the world. ← just six words and a picture. guys, i’m addicted to the bachelor. 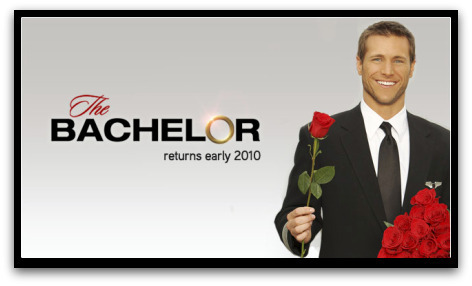 Confession: the only show I have been watching regularly this semester (as in, sitting down and watching it when it airs in real time) is The Bachelor. I know. I KNOW. Guys, this show is SO bad. Like, truly awful. It’s cheesy, it’s contrived, it’s uncomfortable to watch, and my roommate and I spend the entire TWO hours yelling at the television in exasperation. And yet…I can’t stop watching. UPDATE: Apparently I am far from alone in this. About a million people have told me that they have similar inexplicable addictions to this trash. Jamie, Angie, Shan, Maddy, Kaitlin Van…I’m looking at you. Okay, I can’t tell you how excited I was to see this post, Mallory. Unfortunately, my roomie, Rachel, and I feel the same way. We get WAY too ready for Monday night to come. When one of us has plans/when Emmanuel comes over instead to watch District 9 (which was pretty great movie! ), I think we both secretly sigh in sadness that we have to wait one more day to watch our DVRed horrendous mess of a “romantic” reality show. Our FAVORITE upon favorite moment so far of the show was when Jake flew the plane with Allie on their first one-on-one date and Elton John immediately came on singing, “On the Wings of Love…!!!! !” Theme song. The corn level was totally popping out of control. We are definitely Team Gia. Team Tenly as well, but can’t seem to get over her name…better if it was Sevenly…and we think she is midly dumb as hell. Slightly sad Ella is gone now, but Mama’s gone home to her son, for the better I guess! It’s getting real serious, but more so seriously horrible. I’m fully agreed that we’re addicted, will watch it to the end, and we should join BA for support.